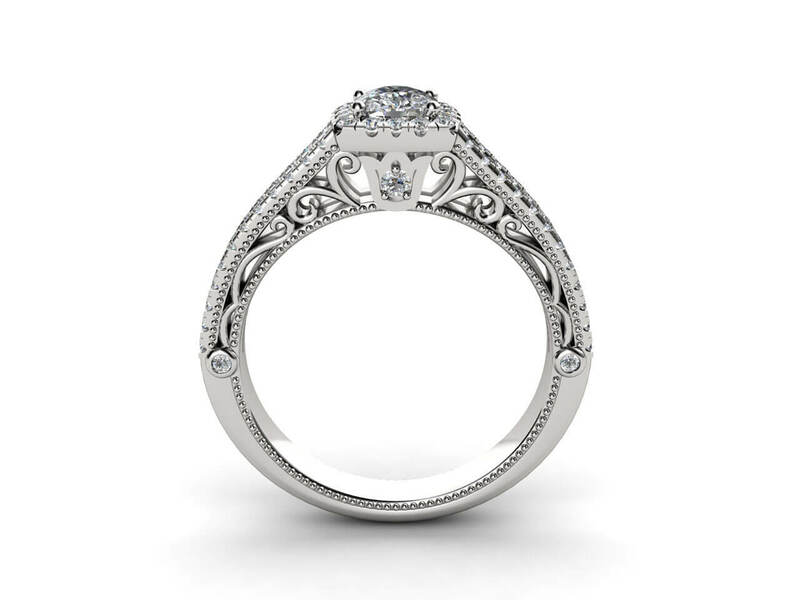 This filigree diamond engagement ring with a central diamond is surrounded by a halo of stones making a square shape. 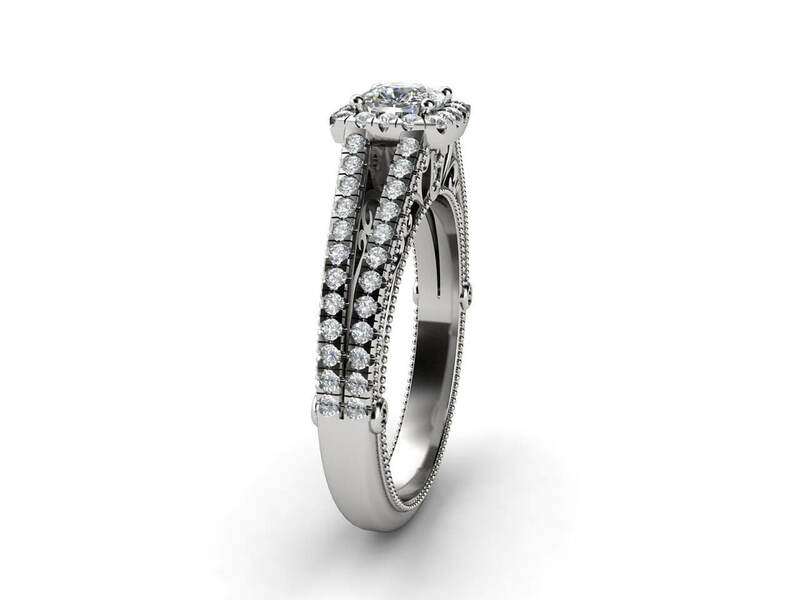 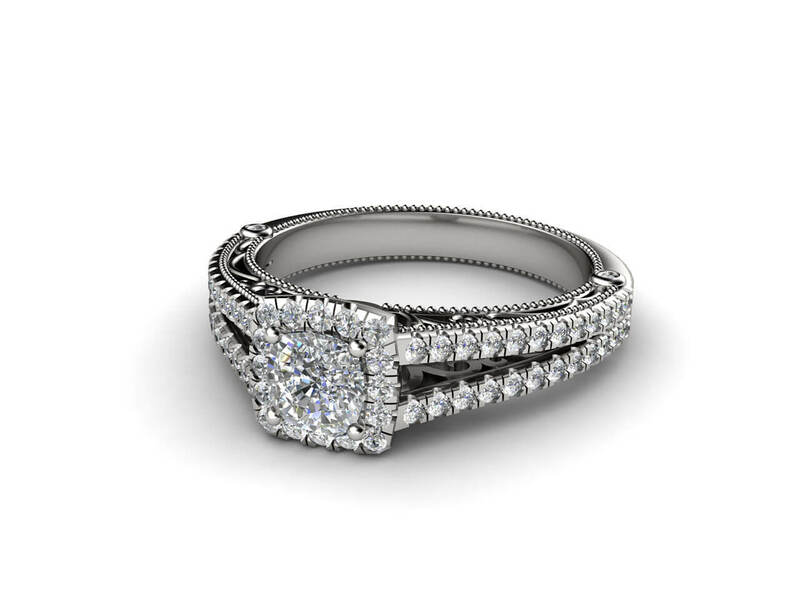 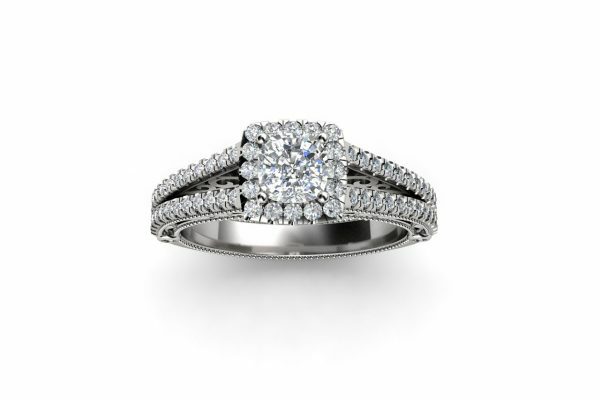 The split band is set with 2 rows of grain set diamonds. 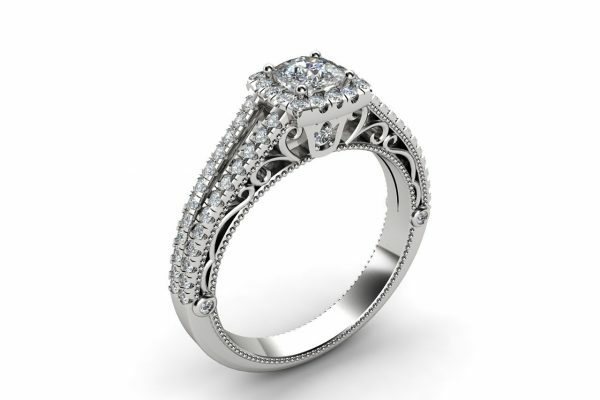 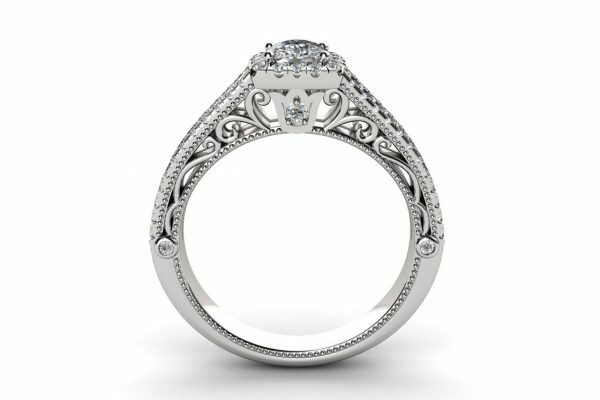 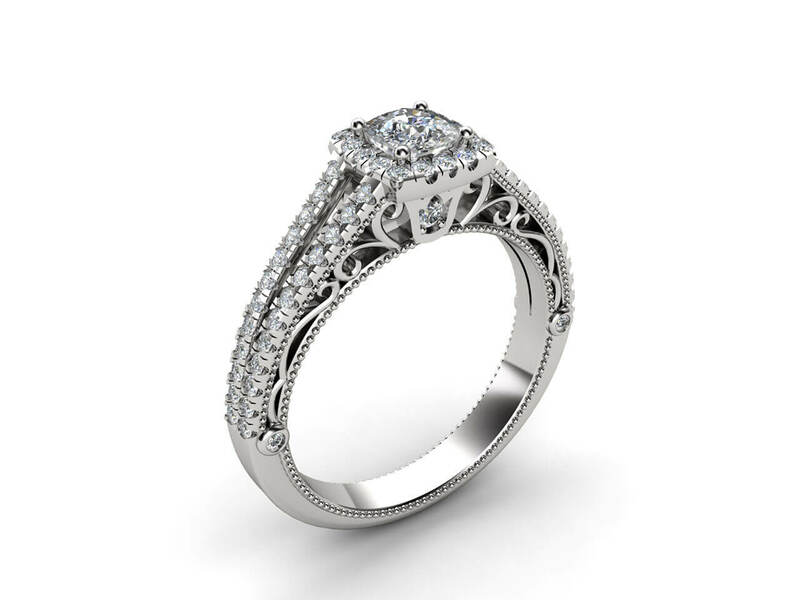 The sides of the band have gorgeous filigree detailing making this ring one of a kind.